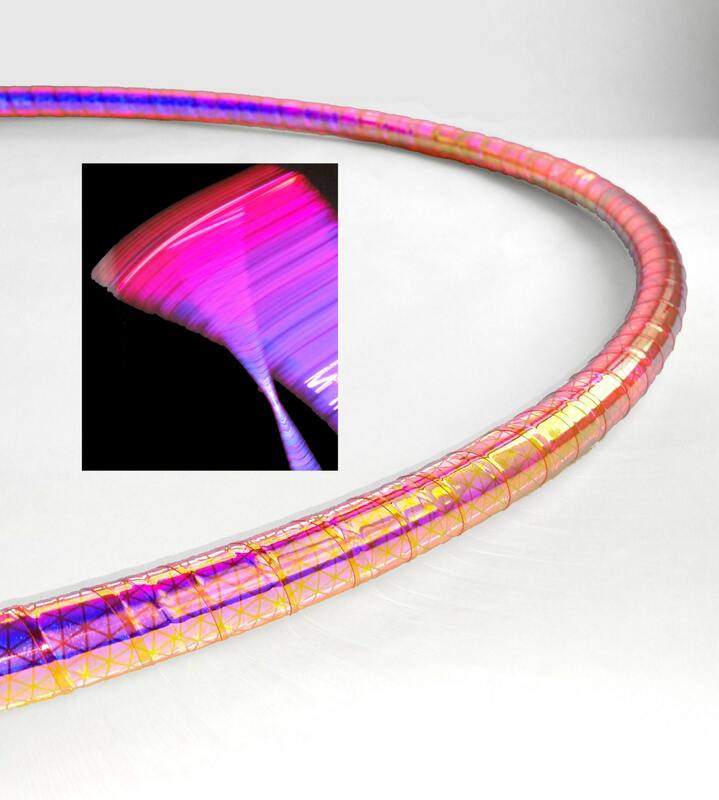 This listing is for One reflective hula hoop. Please read full listing before purchasing this hoop. This hoop does not glow to the naked eye. Choose 3/4 polypro or HDPE. 5/8 polypro or HDPE. Please indicate if you would like and what size and color grip tape in the note to seller. CC: Clear Coat, a protective layer of clear tape will be added to the hoop I strongly suggested a clear coat. All this hoop need is a little bit of light and it appears to glows as if it's lighted from within, while capturing photograph or video. This is reflective tape it does not glow to the person using the hoop they will not see the glow like in the picture above. In order for this hoop to reflect there must be some light be directed at it . 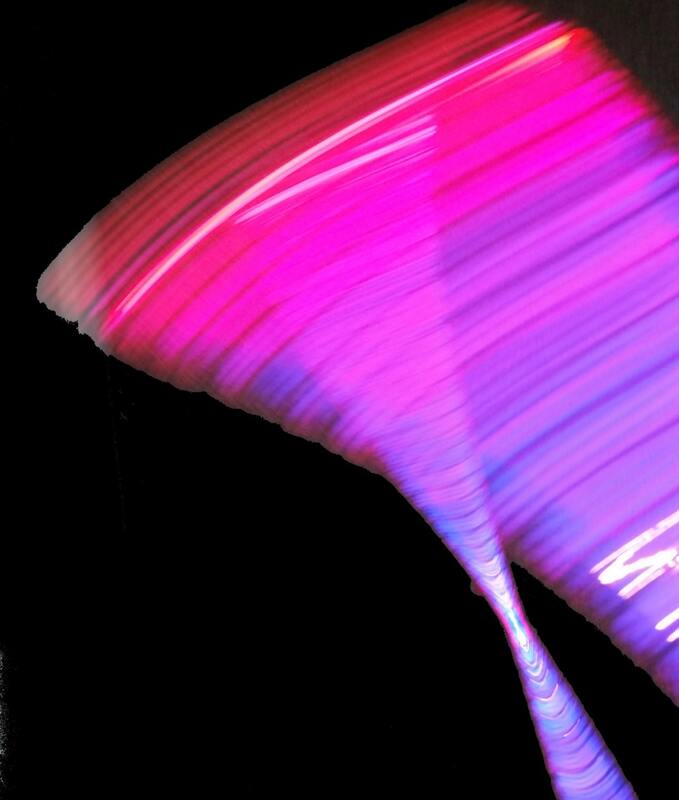 Capturing the hoop on video with a light directed at it will make this hoop look like it is glowing. This glow can be captured in the dark and in daylight as long as a light is directed at it while taking the image. This hoop is also great for making video performances or photos as this hoop only glows with a camera light directed at it. The two images shown glowing above were photographed in a dark room with a flash. 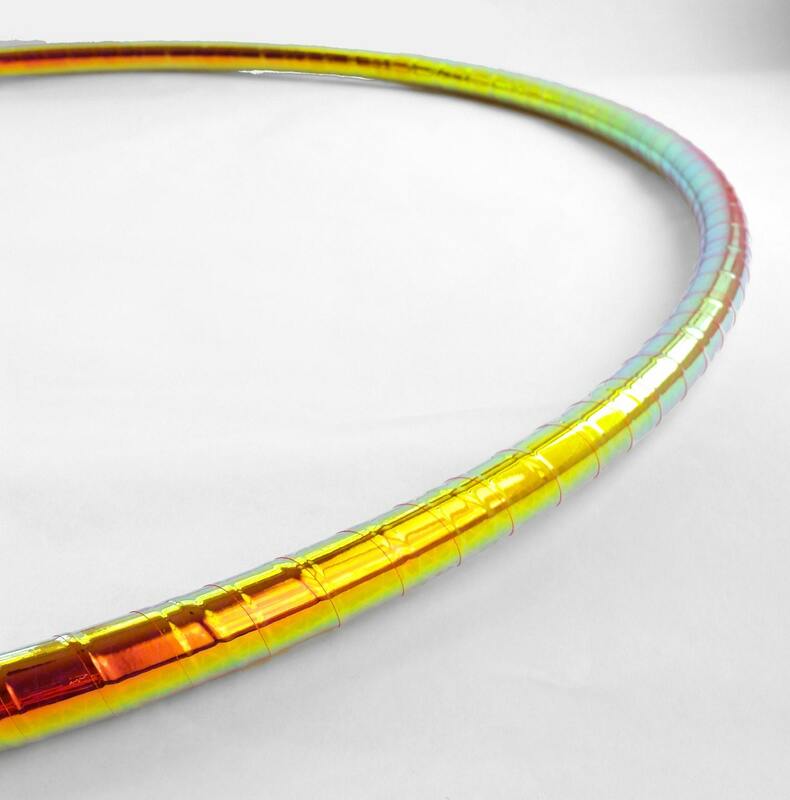 This type of material used to make this hoop is the same reflective properties as a night time driveway marker or is used on the side of rescue vehicles. *On style drop down list, w/PC stands for with polycarb insert. * If a grip tape color is not in the sellers note on a hoop requesting grip tape, the builder will select the best match. Looking to buy more than one? Processing and shipping is 5-7 business days. Rush order my be purchased for an additional $10 this means your hoop is guaranteed to ship within 48 hours of purchase. Add a polycarb insert to your hoop. Polycarbonate inserts are much stronger than poly pro or hdpe tubing. Add protective tape to your performance hoop. 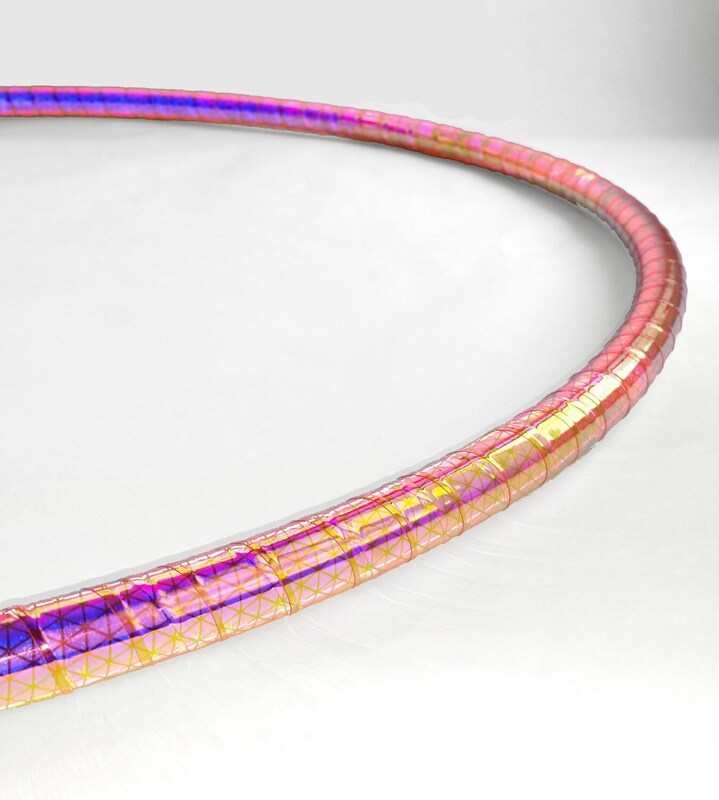 Protective clear tape is highly suggested to help protect performance hoops especially the Aurora, Sun Set, Pink Moon, Blue Moon, and Sun Rise hoops. Love this! The colors are beautiful. Thanks so much!